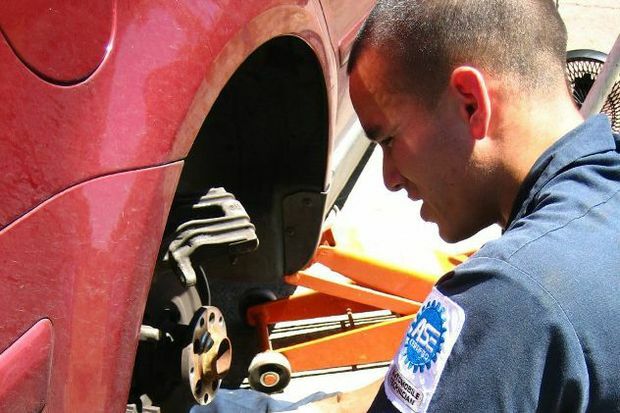 (Houston, Texas) – The state’s best young automotive minds from across Texas are gearing up for the 2014 Ford/AAA Student Auto Skills Challenge State Hands-On competition, set for Friday, May 2, at the San Jacinto College Transportation Center located at 3501 Luella Blvd. Pasadena, Texas 77571. The competition will begin at 9:00 a.m.
At the Texas Hands-On Competition, teams will race against the clock to correctly diagnose and repair a deliberately “bugged” vehicle. A combination of the online written exam and hands-on competition scores determine the state’s championship team that will compete in the national finals. The top team from the Texas competition will advance to the national finals at Ford World Headquarters in Dearborn, Michigan later this summer. At the national finals, champions from all 50 states will compete against one another for the right to call themselves the top young auto technicians in America and take home millions of dollars in scholarships.